John Francis Spa founded January 2003. At John Francis Spa, our goal is to provide results oriented skin care and massage that's both personal and professional. Each treatment is customized according to your needs. We utilize only the finest natural source ingredients combined with the latest technologies and treatments. 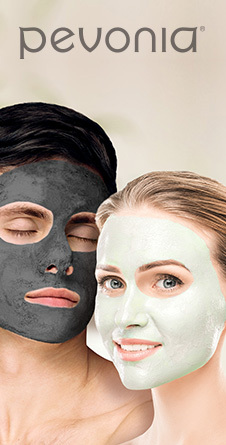 John Francis Spa’s Licensed Estheticians specialize in Curative Facials for Men & Women addressing rosacea, acne, excessively oily skin, anti-aging, UV damage. We combine only the finest natural sourced ingredients with the latest technologies. Each treatment is customized according to your skin care needs. John Francis Spa specializes in face & body waxing for Men & Women including eyebrow shaping, male brazilian, back & shoulder waxing, full leg & bikini and more. See our list of services on our waxing page. John Francis Spa specializes in full body massage including Swedish, deep tissue and more. Our certified massage therapists are ready to help you melt the stress away. John Francis Spa’s Licensed Estheticians are certified makeup artists by Being True Cosmetics Mineral Makeup. Demand more than makeup with True’s 17 SPF Mineral Powder and Liquid SkinTints, Mineral Blushes, Sheer Lip Shines, Mascara and more. Give the gift of relaxation. A Spa visit is always the perfect gift for any occasion. Our front desk can assist you with a Gift Certificate for any amount or click on our “Products” tab to purchase a Gift Certificate online.